Traveling, especially during peak times, can come with lots of hassles. Booking a flight, traversing through a packed airport and getting to the gate on time are just a few things that can cause stress. Then there's using those tiny on-board bathrooms, and hoping you get your luggage back in one piece. Travel can be difficult for anyone, but if you have a disability, the trouble can multiply. Stories of wheelchair and scooter damage, long waits for assistance and even traveler injuries, are common, according to Paralyzed Veterans of America (PVA). But things may be getting better thanks to the recent signing of the Federal Aviation Administration Reauthorization Act of 2018 (H.R. 302). The new law includes a ‘bill of rights’ and better TSA screenings for people with disabilities. 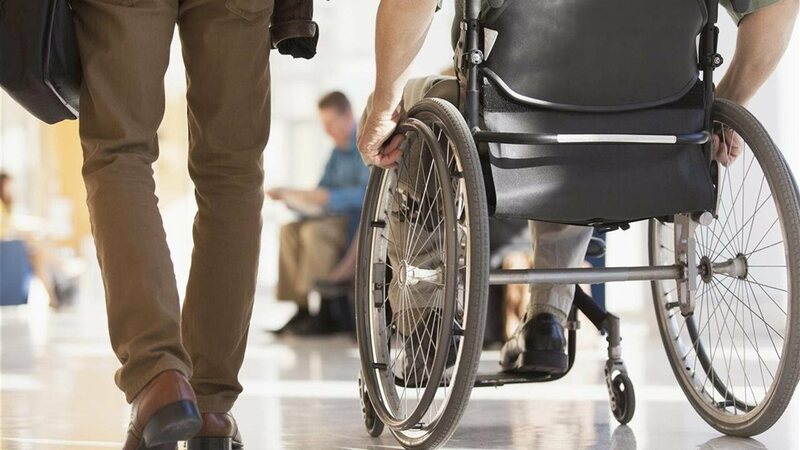 In the meantime, travelers with disabilities can reduce their risks with a little preparation. PVA — a vocal advocate for accessibility in travel — recommends not only giving verbal instructions for folding and storing wheelchairs, but also attaching written directions to the equipment. The group says to arrive at least two hours early for a flight, and call your airline a few days before your flight to arrange for assistance. For more information, visit www.pva.org.